NBCUniversal International Studios’ former unscripted chief, David Mortimer, has joined transatlantic production group Tinopolis. Mortimer has become Tinopolis’ first director of content, overseeing content direction and performance across the Wales-headquartered production and distribution group. Placing a particular focus on popular factual and factual entertainment, Mortimer will also be tasked with group growth by identifying and recruiting new talent. Mortimer had previously spent three years as senior VP, factual and entertainment at NBCU’s London content hub. In that role, he oversaw production companies in the UK, Australia, Canada and Asia. During his time, the NBCU unscripted business grew from twelve hours in 2011 to more than 150 last year through programmes such as Channel 4’s Made in Chelsea, The Real Housewives franchise in the US and elsewhere, Driving School of Mum & Dad for Sky 1, and QuizUp for NBC. However, he left last September, with NBCU’s centralised development hub, Tellycopter, closing soon afterwards as part of a wider rethink of its international unscripted strategy. Prior to that, he had led Move Like Michael Jackson producer Fever Media with the late Richard Hopkins. Before that he was a commissioner and producer for UK pubcaster the BBC, eventually overseeing 300 staff as creative head of factual entertainment. He is credited with launching the UK version of Dragons’ Den and producing Michael Moore’s TV Nation. He’ll report to Tinopolis Group CEO Arwel Rees, while working alongside creative director John Willis. Tinopolis production companies include A Smith & Co. and Magical Elves in the US, Mentorn Media, Pioneer Productions, Firecracker Films and Sunset + Vine in the UK, plus London-based distributor Passion. 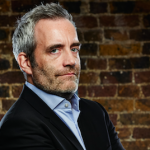 Tinopolis chief exec Rees said Mortimer’s “unrivalled track record of creating successful factual and factual entertainment programming makes him a great asset to the company”.